Balfour Town as seen from Deane's Dock, Salt Cay. The White House and Balfour Town, Salt Cay. 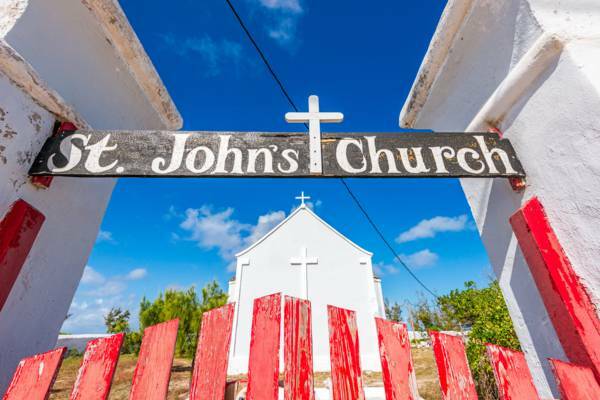 Balfour Town is the main settlement on Salt Cay and one of the oldest in the Turks and Caicos. Two of the island’s three restaurants, most businesses, and the only port are found here, along with about half of the accommodations. Although outside of the settlement, Salt Cay Airport is also nearby. Deane's Dock, the cargo and passenger harbour for Salt Cay, is the busiest section and is what would be considered the “centre” of town. North District is directly adjacent to the northeast of Balfour Town, and South District is located across Town Salina to the south. The stonework of the inlet to Town Salina. Although tourism does provide the main income to the local economy, the town lacks the commercial atmosphere of so many other tropical vacation destinations. This creates the main draw; a Caribbean island exhibiting the old way of life. Not as extensive as several of the other Salt Cay beaches, Balfour Town Beach does offer a beautiful patch of sheltered sand. Snorkelling is the area is decent as well. Donkeys, out of work since the end of the salt days, still roam freely. Cut block and stuccoed limestone buildings, built in a British Bermudian colonial architecture, line the streets. A small hill to the north of town, Little Bluff Lookout is a great place to enjoy the view. The gates and inlets of the salinas are also interesting to explore. Salt production ended by the 1960s, but much of the infrastructure still remains. 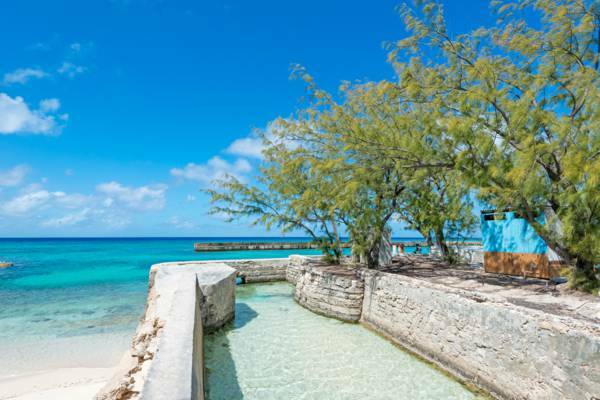 Vying with the Grand Turk Lighthouse for the position of most-recognizable structure in the country, the centuries-old Harrriott White House, the previous home and headquarters of a wealthy salt family, still stands. The entrance to St. John's Church. Balfour Town was founded by Bermudian salt rakers sometime in the mid to late 1600s. Originally only seasonally inhabited, as demand for salt in the budding American colonies increased, so did production on Salt Cay and the necessary infrastructure, residences and population. A quiet place today, Balfour Town in the past was a bustling place and quite important to the fledgling Turks and Caicos economy of the 18th and 19th centuries. 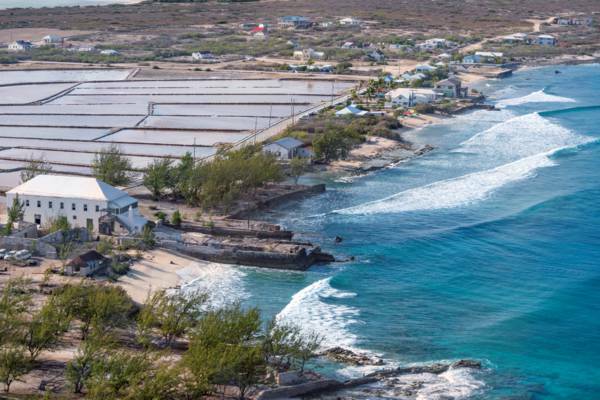 Salt Cay hasn’t fared as well as some of the other islands in the Turks and Caicos when it comes to major storms. Historically, hurricanes have hit the island every few years, with a major hurricane ravaging Salt Cay ever forty to fifty years. When the salt industry was in operation, a storm would cause tremendous loss to the freshly gathered salt stocks. Such an example is the 1866 storm, where one and a quarter million bushels (approximately 35,000 tons) of hand-gathered salt in the country was washed away and nearly every home on the island was crushed. Hurricane Ike in 2008 has been the most recent strike, destroying the breakwater at Deane’s Dock and the island’s only desalination plant, along with tearing off the roofs of many residences. Repairs continue to be ongoing.